Shawn is an Iowa native, born in Cedar Rapids who later lived in Scotland for 25 years. After graduating college Shawn went on to work as a Flight Attendant for an airline in the UK. Shawn traveled extensively with First Choice Airways (UK) flying customers to worldwide holiday destinations. After 8 years of flying, Shawn then took on a role within the airline as a Safety Instructor training flight attendants, pilots and ground staff in safety procedures, health and safety and first aid. 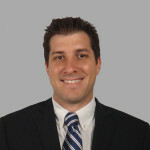 Shawn decided to return to the United States in 2004 with his wife and two children and joined MidAmerican Aerospace in August 2004 as a Sales Associate. 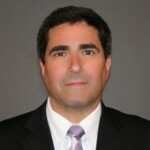 His many interests are centered around his wife and two children. This 1998 Iowa state high school basketball champion understands the meaning of teamwork and solid work ethic by earning a Division 1 basketball scholarship to play at Kansas State and the University of Iowa. 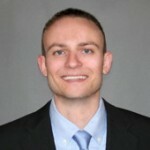 Josh graduated from Iowa in 2003 with a degree in Health, Leisure and Sports Studies. 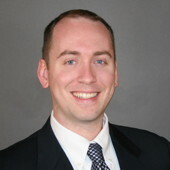 Josh has been with MidAmerican since the company’s first year in business, 2004. He enjoyed being part of the the company’s beginning throughout the growth to where MidAmerican is today. He is extremely grateful to have learned from the experienced management team including CEO, Mark Hanrahan, as well as the late Steve Smid. Josh has a bottoms-up working knowledge of this business by assisting at on-site aircraft tear downs, packaging inventory, and successfully buying and selling parts. His favorite aspect of MidAmerican is that the culture of the company is reminiscent to that of a clubhouse. It is a competitive environment, however teamwork is absolutely present. The office may appear casual, however there is a great sense of pride and determination. Josh and his wife Vanessa reside in Swisher, and are proud parents of 4 children. Josh spends time away from work attending their events as well as helping coach. Josh also has a colorful family history associated with Major League Baseball where his Dad, Bruce, coached and played for several teams. One of Josh’s favorite baseball bragging stories is that he gave Moises Alou a hitting tip in June 2002 that helped Moises’ batting average go from a .211 to his being named MLB Player of the Month in July 2003. Moises thanked Josh for the tip! 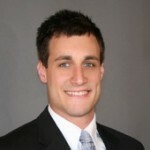 Sean started with MidAmerican Aerospace after finishing undergrad at the University of Iowa in 2008. He received his degree in Business Management at Iowa and more importantly found his future wife at Iowa! Sean married Trisha Sims during August of 2011 in Chicago. Sean is an avid sports fan! He played baseball, basketball, golf, tennis, and 1 short season of football in high school. He was the captain of the baseball team his Senior year and also played while in college as a member of the Iowa Club Baseball team! Sean also enjoys traveling. He finished his senior year off by studying abroad. He participated in the Semester at Sea program and had the opportunity to travel the world by boat. He visited many countries and his favorite were: Japan, Vietnam, Thailand, and Egypt! After serving a successful year in Vietnam in the US Army, Ira completed his degree in Marketing and Economics from Iowa State University. Since college, this savvy Cyclone alumnus has been in sales during the majority of his professional career. Prior to joining MidAmerican Aerospace in August 2004 as a Sales Associate, Ira spent 26 years selling within the horticulture industry. 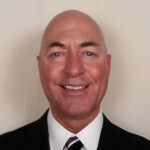 Ira’s past sales experiences have enabled him to truly connect with our customers in order to form lasting relationships. Ira is most proud of his wife, three children, and their graduations from college. In his free time, Ira enjoys playing a round or two of golf, fishing, and watching sports of all kinds. Jon is a Cedar Rapids native who obtained a BA in Communication Studies while attending Luther College in Decorah, Iowa. Aside from his studies, he also earned four varsity letters as a relief pitcher/spot starter for the Norse baseball team, serving as co-captain his senior season. Following his college experience, Jonathan spent a year in New Zealand bartending and enjoying the Kiwi lifestyle. Jon and his better half Amanda welcomed their son Oliver to the world in April 2014, and are enjoying the thrills and excitement of parenthood. Jon is a huge sports fan and avid Iowa Hawkeyes supporter. He enjoys staying active and competing in recreational sports with his mates and wanted to make special note that his teams win more often than not (this detail remains unconfirmed). Jonathan enjoys music of all kinds, and is sometimes mistaken for possessing above average talent on the drums and piano. In his free time he enjoys reading, writing, and playing with the family dog Cooper. David grew up in Cedar Rapids, Iowa where he graduated from Washington High School. He then attended and graduated from Central College, a private, four year liberal arts located in Pella, Iowa with a degree in Communications with an emphasis in Business Management. 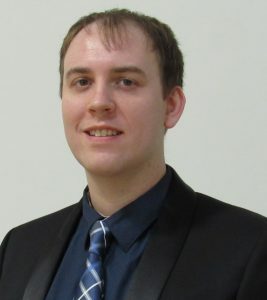 Following graduation, David joined the MidAmerican Aerospace team in August 2006. Since then David has taken great interest creating relationships with emphasis on airlines and heavy maintenance as well as managing MidAmerican’s Auxiliary Power Unit re-certification and disassembly. When not working, David spends his free time golfing, fly fishing and spending time with his family. 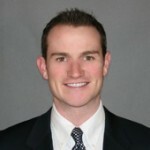 Ryan attended the University of Iowa and graduated from the Henry B. Tippie College of Business in May 2006 with a BBA in Finance. After graduation Ryan moved to Chicago, Illinois and worked in the financial services industry for a hedge fund administration company. In December 2007, after much prodding from his father, he returned home to Cedar Rapids becoming a third generation son to join the family business. Ryan is currently single and enjoys the freedom to travel and visit with customers, vendors and friends, seeing live music and music festivals, bicycling Iowa’s many roads and trails, boating, wake boarding and wake-surfing when the weather allows, living the P90X lifestyle, and following his alma mater Iowa Hawkeyes football and basketball programs. Robb is a Cedar Rapids, Iowa native where he attended Cedar Rapids Washington High school. While attending, he was involved in a number of sports & activities. More notably, his sophomore year, he won the Best Male Dancer award as voted upon by his peers for his involvement in show choir. He was also a member of the swim team all 4 years, earning academic all-conference honors & was the team co-captain his senior season. 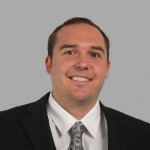 Following high school, Robb attended Miami University in Oxford, Ohio where he received a BS degree in Finance from the Richard T. Farmer School of Business. Robb joined MidAmerican Aerospace in July 2006 where he is a member of the sales team, focusing on airframe & engine parts. His friends & family are of the utmost importance to him including his 4 siblings. He & his better half Molly stay pretty active playing sand volleyball, cycling, & snowboarding. They participate in the VisionWalk (Cincinnati) each year which contributes to the Foundation Fighting Blindness. He also understands there’s more to life than being really, really, really ridiculously good looking. Blake attended Kirkwood College on a baseball scholarship from 2002 to 2004. He then attended Mt. Mercy College and graduated with a Bachelor of Arts degree in Criminal Justice. 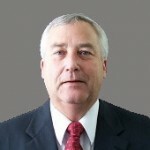 Blake has had success in the cellular sales business with AT&T Wireless and came to MidAmerican Aerospace in June of 2007. Blake married Brooke Hoeger during April 2010 and they currently reside in Fairfax with their 2 daughters Elliana and Addelyn. His hobbies and interests include: Iowa Hawkeye football and basketball, the Chicago Cubs and Bears, golf, playing softball and spending time with his wife and daughters. 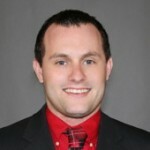 Jason is a Cedar Rapids native that joined the MidAmerican team in 2011 after obtaining a BA in Administration while attending Pensacola JC and The University of West Florida. Along with his studies, Jason also played four years of collegiate baseball as an outfielder for both institutions. Both teams enjoyed championship seasons in 2004 (PJC Florida State Champs and participated in their first and only Junior College World Series appearance) and in 2007 (West Florida won its first Gulf South Conference title). Following College, Jason spent the next 4 years coaching baseball (soaking up the sun at the beach) at his alma mater Pensacola Junior College under mentor and hall-of-famer Bill Hamilton. 2011 presented Jason with opportunity to join the MidAmerican team back in his home town. Jason currently resides in Fairfax, Iowa with future wife Kirsten and two children! When not working, Jason enjoys spending his time staying active and taking walks with his family and their three little dogs (Little Bear, Daisy, & Sasha). 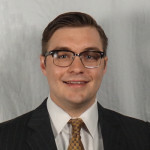 Michael graduated from the University of Iowa in 2013 with a Bachelor of Arts Degree in Communication Studies in conjunction with a minor in Spanish and a certificate in Entrepreneurial Management. 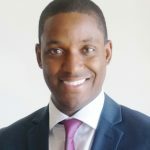 His college experience also included membership in the Sigma Nu fraternity where he served varying leadership positions and made lasting friendships that span across the country. 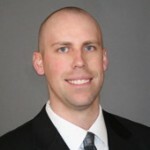 During his final year at Iowa, Michael worked as a Wireless Consultant for U.S Cellular where he consistently found himself amongst the sales leaders of the region before beginning his career at MidAmerican Aerospace. 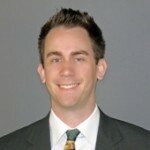 Away from the office, Michael aspires to lifelong learning and constantly searches for new avenues of personal growth. He has a supreme passion for travel, exploring culture, and connecting with others. Other topics of interest include playing hockey in a local league, mountain sports, card games, spending time with close friends and family, and of course Iowa Hawkeye athletics! 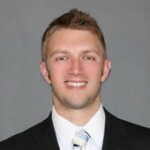 As the fifth son of Ann Dorr and Mark Hanrahan, Keaton had the fortunate opportunity to join MidAmerican Aerospace after graduating from the University of Iowa. Keaton graduated with a Bachelor of Science in Political Science and spent a semester abroad with the Semester at Sea program. Traveling, athletics, and cinema are a few of Keaton’s favorite things. Joe graduated from Illinois Institute of Technology in Chicago with a B.S. in Professional and Technical Communications with a specialization in web communication and minor in business. During his collegiate swimming career Joe won an NJCAA division national championship in the 100-meter backstroke as well as a NAIA national championship for a relay and runner-up for the 100-meter fly stroke. Upon graduation he worked as a swim coach for Glenbrook Aquatics. 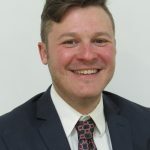 Joe then moved back to Iowa from Chicago and worked in sales and support for Godaddy, LLC before working as a systems analyst for Transamerica/AEGON. Today his hobbies include triathlons, masters swimming, playing rugby for the Cedar Rapids Headhunters, and lifting heavy metal objects in the gym. Joshua Hall was born and raised in Cedar Rapids, IA which allows him to be referred to as a Cedar Rapidian. He attended the University of Iowa where he graduated with a BA in Business and Entrepreneurship. He now resides in and enjoys the small town living of Palo, IA just outside of Cedar Rapids with his wife, son, cat and dog. 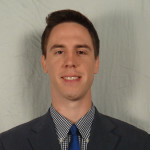 Josh came to MAA in the fall of 2014 via his social connection to the owner Mark Hanrahan. Josh was coached by Mark in high school while playing football for the Prairie Hawks. In years following high school Mark helped Josh as a life coach/mentor and even provided him with an internship at MAA. After college, Josh pursued a position in operations dealing with overhead cranes in major industrial facilities. 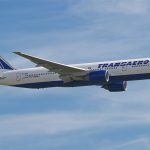 This previous experience is a great precursor to the aviation industry. Josh has a very high level of interest in aviation and looks forward to pursuing a career in sales. His other interests included farming produce, traveling/new experiences, watching movies, and exercising daily, spending time with family, friends and raising his son. Lastly, Josh is inspired by the famous expression, “Failure is not an option”. He believes that in life we need not to make excuses but find reasons to accomplish what we desire. Tom was born and raised in Cedar Falls Iowa and graduated with a BA in Business Management from the University of Northern Iowa. 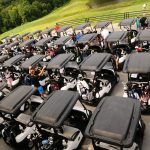 He previously owned a small business and is a Life Member of the Professional Golfers Association of America. Tom and his wife Cindy have 3 sons and he enjoys playing golf, tennis and traveling with his family. Tom joined our MAA staff in February of 2015 and looks forward to a successful career in aviation sales with MAA. In 2015, Brendan married his wife Chantell. They aspire to grow their family down the road. Brendan enjoys spending time with the family and traveling to see relatives from around the globe. Outside of work and family Brendan enjoys live music events, golf, movies, riding my motorcycle. Kevin was born and raised in Cedar Rapids, Iowa. He graduated high school in 1998 then attended the University of Iowa for general studies with an emphasis on business law until 2001. While attending the U of I, he filed a patent application for a security system (Secure Vision) which lead to the establishment of K. Bassett Inc.
Ryan Hass was born in Cedar Rapids, Iowa but proud to be raised in the rural community of Walford, IA. He attended Kirkwood Community college where he studied Liberal Arts. He currently resides in Cedar Rapids with his soon to be wife.